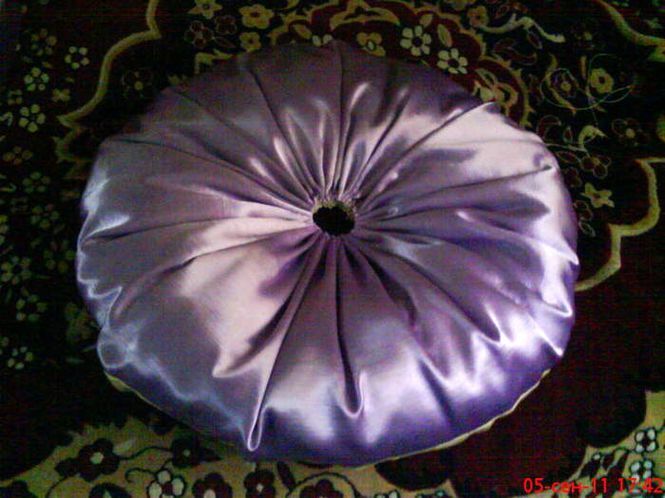 How to sew a round pillow for the couch? ~ DIY Tutorial Ideas! 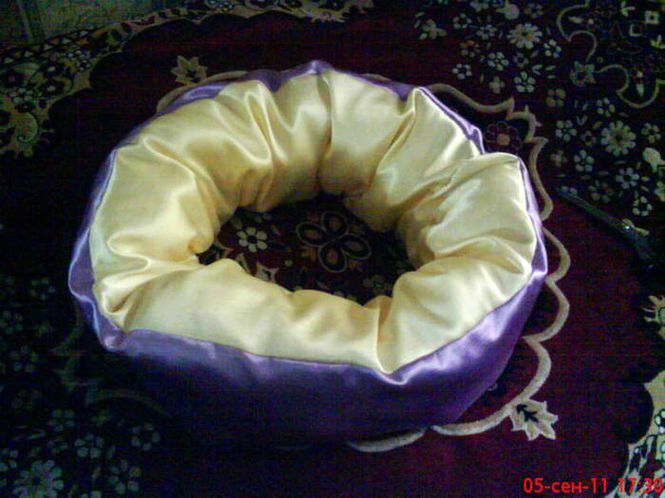 Home » Pillows Cushions , Sewing » How to sew a round pillow for the couch? 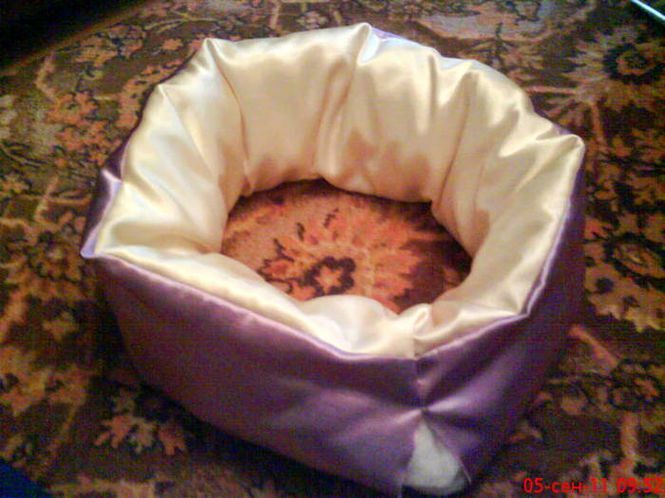 Tutorial on sewing a round cushions for the sofa. 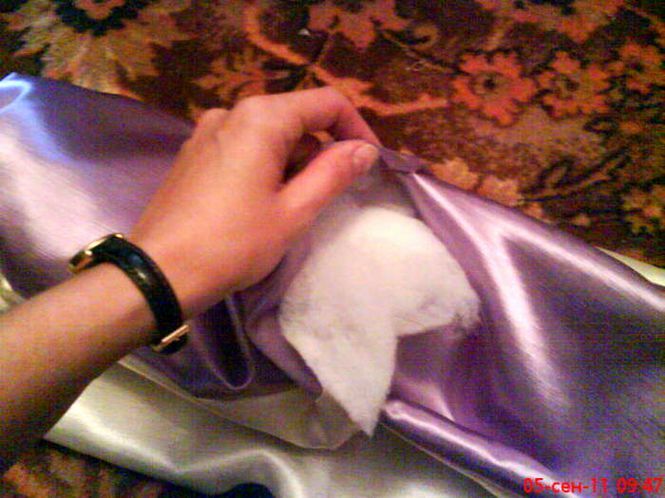 An interesting idea, it is sewed easily and simply, but the result is amazing. 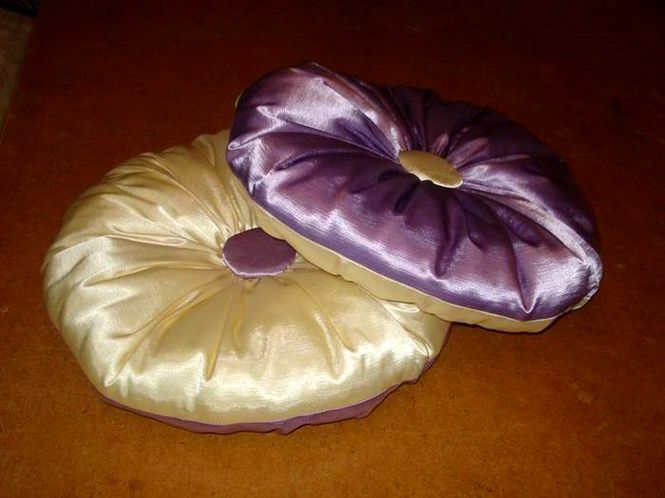 And yet - the idea of using round pillows in the interior. 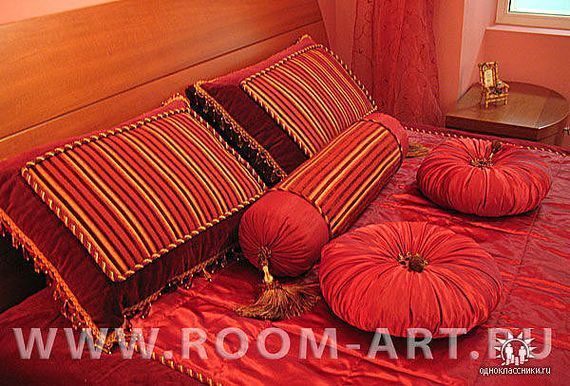 It is recommended to sew such pillows from "rich", textured fabrics. 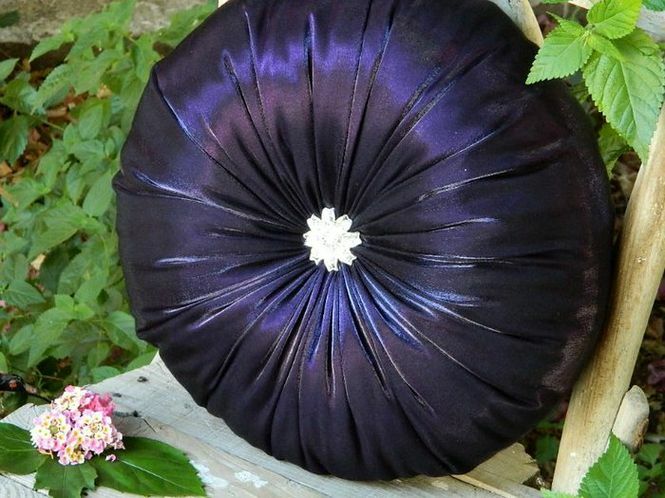 It can be satin, silk, velvet. 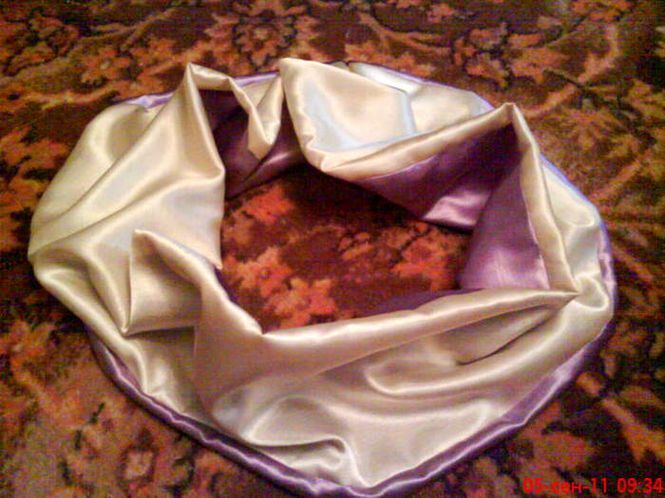 The main thing - the fabric should be well draped, so that the folds look organically. 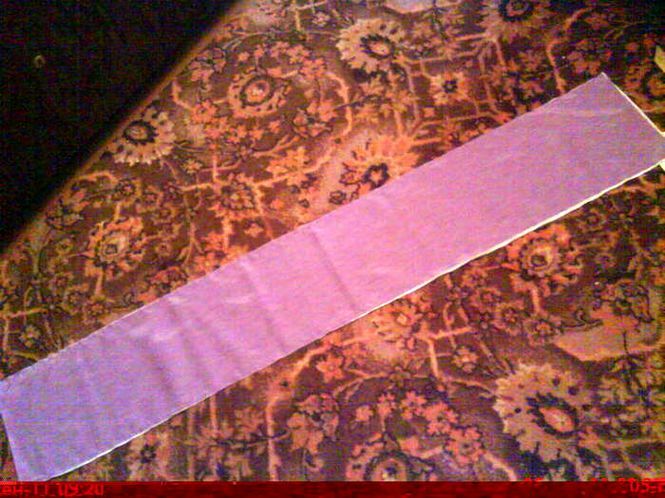 We take two rectangles of different colors 120 + 1 in length (for allowance) cm and a width of 19cm. Further, we shove these rectangles along the long sides, then we connect them by short ones, we get such a "wheel", or rather, a flat camera. We must not forget to leave a hole in a gentle seam, so that the sintepon shove! "Pumping the camera" so that it turns out almost a "wheel", the more synthepons, the better. 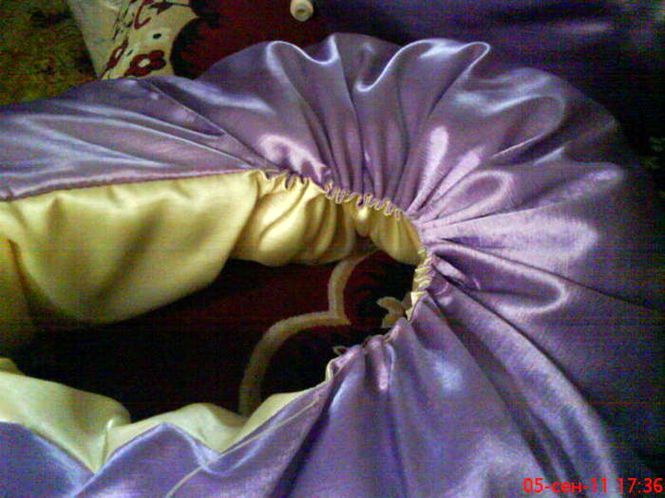 When the wheel is ready, sew a hole, you can go further! We take a strong thread with a needle and lay the stitches along the circumference of the circle, then tighten it, fix it. There remains a small hole, which we hide with "buttons"!